Monks cloth is a coarse fabric with a basket weave that can be made out of cotton or linen. It has a characteristic loose over and under 4 by 4 weave, which makes it suitable for things like embroidery and cross stitching. The individual strands in the four strand weave are called “floats”, which are used to weave the threads through. You can find monk’s cloth in a variety of colors. Uses of monk’s cloth in the 1940’s include curtains, pillows, and clothing. It is still used for this currently, but nowadays it’s also popular for afghans, place mats, Swedish weaving, embroidery, and cross stitching. Monk’s cloth is popular for Star Wars cosplay costumes. The black is popular for a Kylo Ren cloak and the brown is good for a Jawa. Before working with monk’s cloth, make sure to pre-wash it in cold water. This fabric is known to shrink as much as 15% after the first wash, so make sure to buy a little more than the size of your finished project. You can hang dry or machine dry on a low setting. We also recommend finishing the edges with a serger or zig zag stitch before starting to prevent the edges from unraveling. 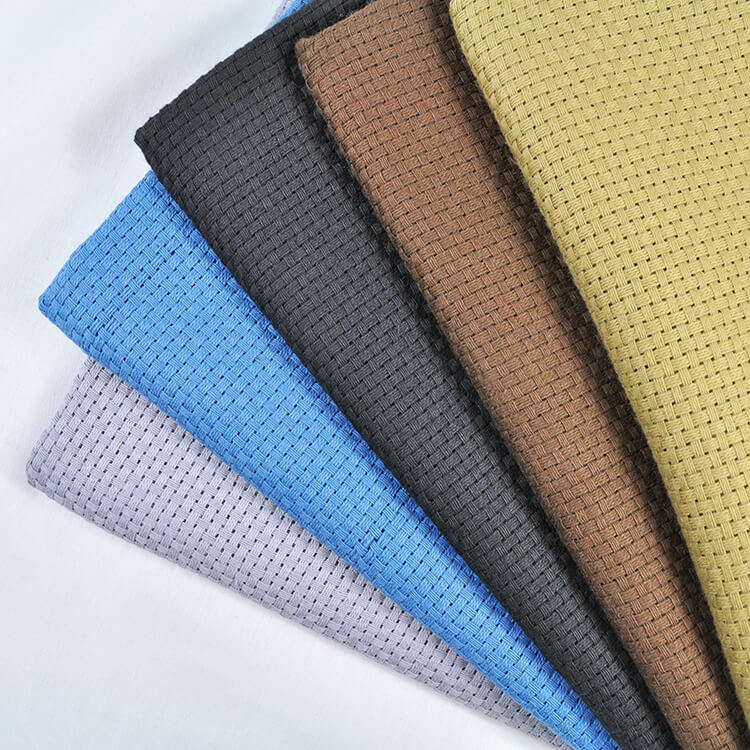 Shop monks cloth fabric here. Does your co. Know how to cut monks cloth properly? BEST ANSWER: Monks cloth unravels easily so cut along the grain then zigzag stitch around all the edges. How do I finish the sides? Would this work for a shower curtain? BEST ANSWER: Sure, I don't see why not! The weave is open, but not open enough to see through.